Robot-busting laser-flinging zero-gravity extravaganza Overload received a free level editor DLC option allowing users to toy with the engine to create their own maps. Announced in a Steam forum post, the level editor will give you the option to create your own maps in single player and challenge mode with a multiplayer mode option coming soon. A built-in Steam workshop for users to upload their creations onto is also absent but devs have said it’s a feature they’ll “look into”. 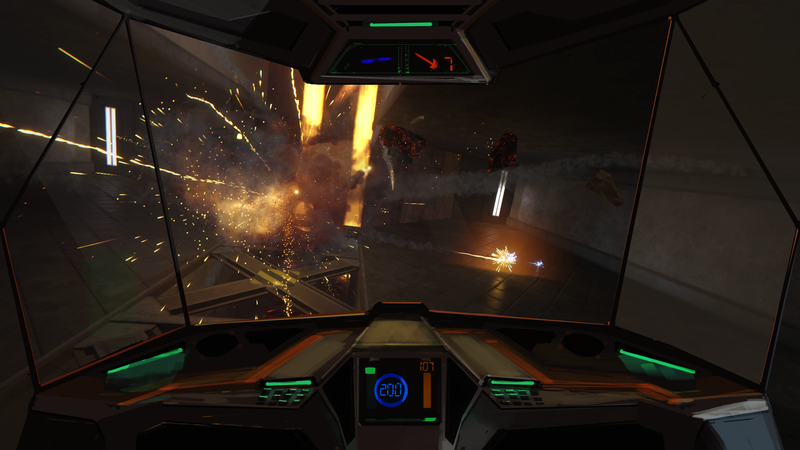 Despite being on Steam for less than a month, Overload has managed to muster up an overwhelmingly positive status with user reviews praising the title for its ability provoke nostalgia into players fond of Descent, the cousin of Overload but some users have called Overload Descent 4. Overload is out now on Steam.